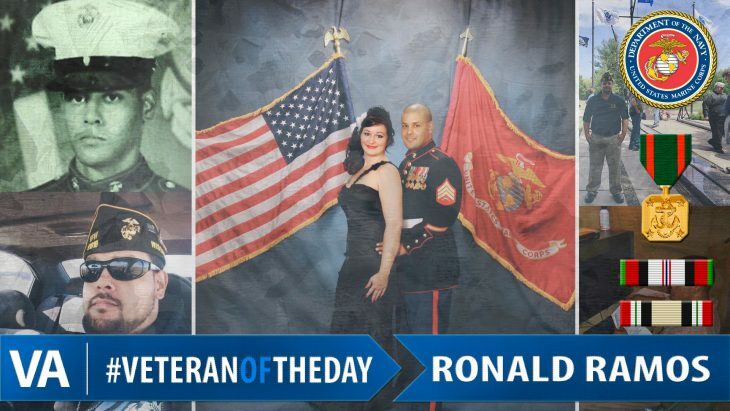 Today’s #VeteranOfTheDay is Marine Corps Veteran Ronald Ramos. Ronald is from Bronx, NY and joined the US Marine Corps at age 17 after witnessing the attacks on September 11 a few years earlier. He served as an Aviation Data Analyst from 2005 to 2013. He participated in Operation Iraqi Freedom and Operation Enduring Freedom, and was stationed in Iwakuni, Japan for 2 years. Ronald has been awarded three Navy & Marine Corps Achievement Medals. Currently, Ronald is the Jr. Vice Commander for his VFW in New Richmond/St. Croix County and is a Veteran advocate for #22KILL, bringing awareness to mental health in Veterans. Ronald gives speeches at local colleges about PTSD and the mental health of Veterans. He was the youngest veteran to be the keynote speaker at the New Richmond Middle School Veterans Day program. Besides his volunteerism in the Veteran community, Ronald works as a Veterinary Assistant in Wisconsin. Thank you for your service, Ronald!